For those days when my brave is on. Not only during the sorrows that test my strength, but also in the little moments that test my character. Those moments, for example, when laziness, stubbornness, or pride attempt to get the best of me. Because, sometimes, as we know, it takes a bit of courage to tackle the simple stuff and turn the ordinary into extraordinary. Our reactions during everyday moments define us, and so for those days when I dare to be better, I am thankful. 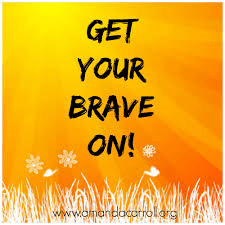 C’mon, get your brave on! I love your Thankful Thursdays!